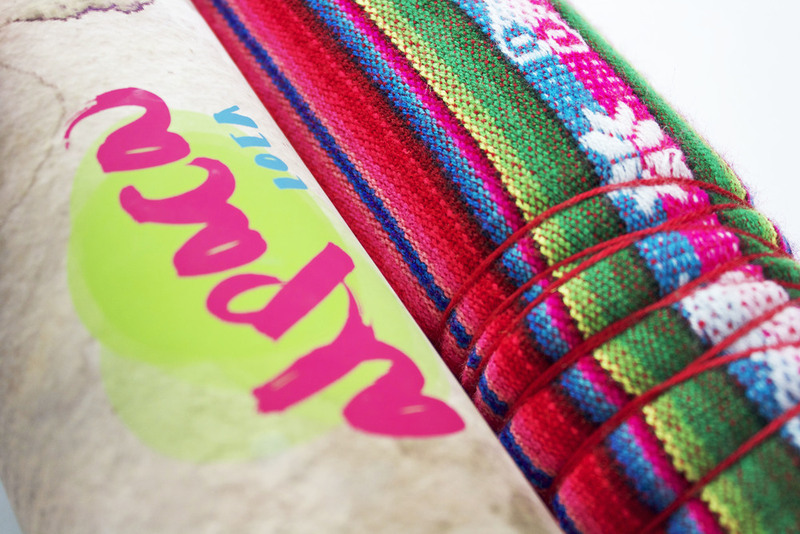 The colorful textiles shown in Peruvian culture really make it stand out as a destination filled with energy and life. Pom-poms and tassels cover alpacas walking with their owners as pets. 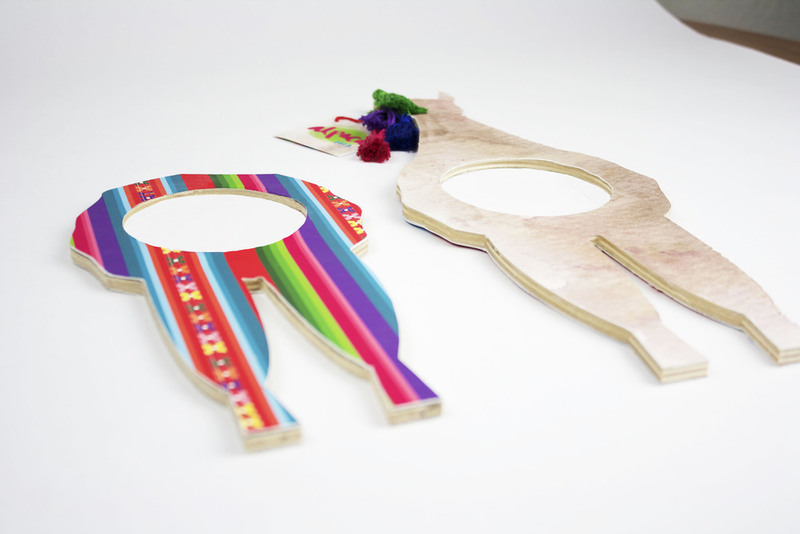 The objective of this project was to create packaging for a unique souvenir from another country. 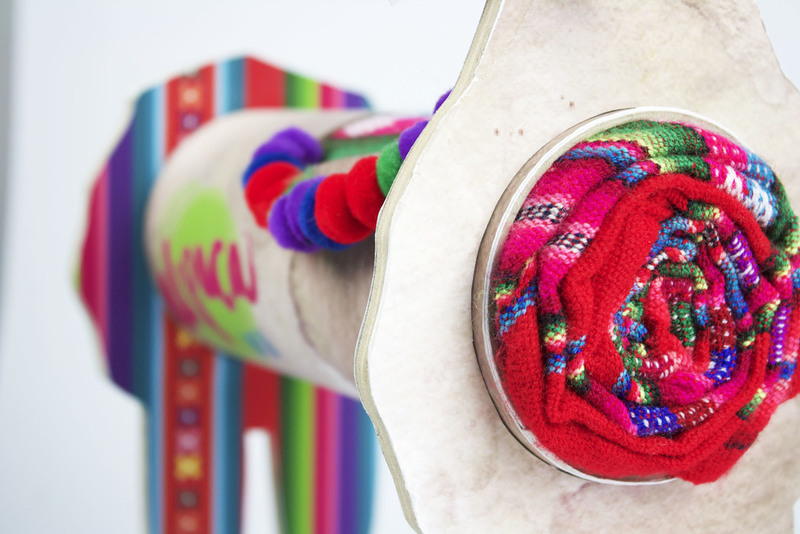 The name Alpaca Loca came from the crazy vibrant colors that Alpacas are known to wear in Peru. As highly decorated pets, Alpacas are a celebrated animal by Peruvians and an important part of their daily life and culture. Playing off of their rounded belly and long body, I created a fun and vibrant package that can even be used with or without the souvenir. An exciting color choice of bright blue, green and pink was obvious. 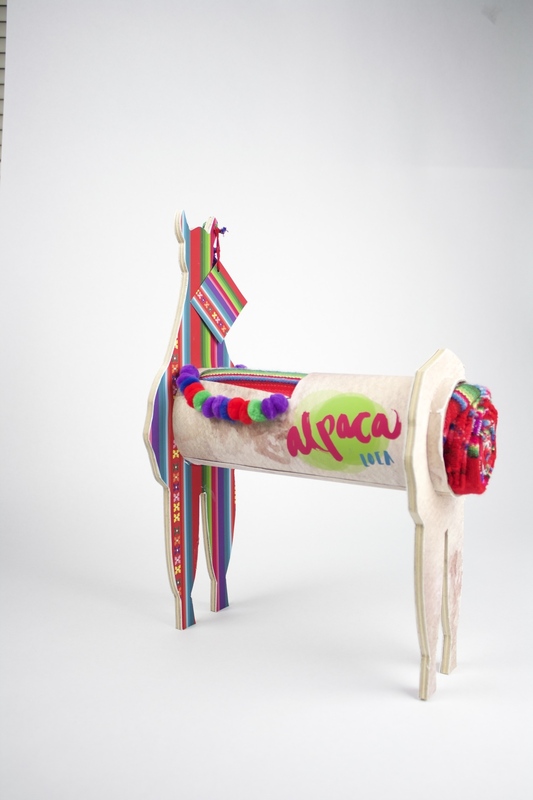 Alpaca Loca showcases the pigments seen in Peruvian artwork and textile design making it stand out among any other product that a traveler can buy. 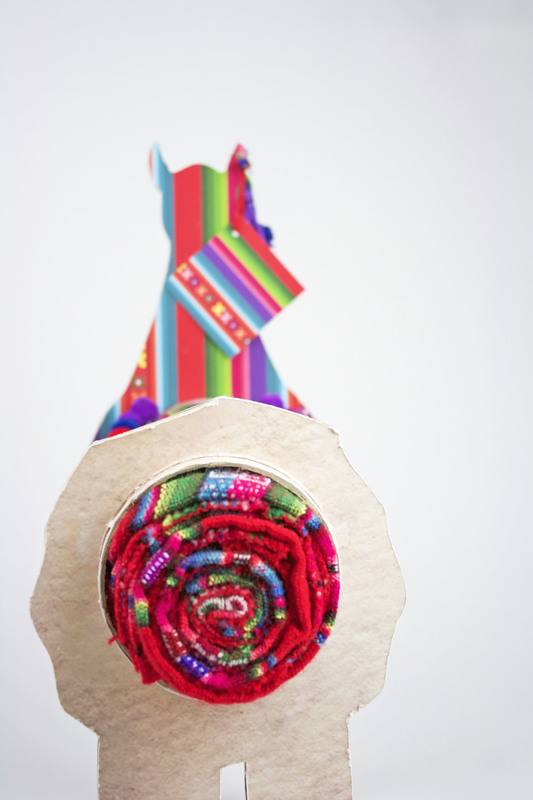 Due to the simplistic shape of the souvenir, I created a unique and interesting way to house it by using a three piece wood set which also represents the shape of a true Alpaca. Two flat pieces representing the front and back of the Alpaca have a tube holding them together which is where the blanket is rolled up and placed. To showcase the pattern on the blanket, I cut out a shape on the alpaca where a Peruvian blanket would normally lay on it so the customer can not only seen the blanket but feel it as well.